This the Privacy Notice of the Office of James Kelly MSP. 423 Paisley Road West, Glasgow G51 1PZ. I am registered as a data controller with the UK Information Commissioner, registration number: Z1217636. Receiving, storing and responding to complaints by letter, email or in person The processing is necessary for the performance of a task carried out in the public interest or for the purpose of a legitimate interest (Art 6(1)(e) or 6(1)(f) GDPR). Or, for special category data: The processing is necessary for reasons of substantial public interest (Art 9(2)(g) GDPR and DPB Sch 1, para 23). Receiving and storing data in relation to a personal issue or problem raised by a constituent (casework) The processing is necessary for the performance of a task carried out in the public interest or for the purpose of a legitimate interest (Art 6(1)(e) or 6(1)(f) GDPR). Or, for special category data: The processing is necessary for reasons of substantial public interest (Art 9(2)(g) GDPR and DPB Sch 1, para 23). 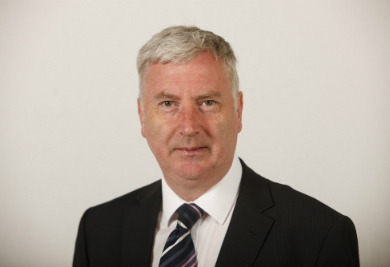 Take, store and use photos and videos in connection with my engagements and events I attend in my capacity as a MSP. The processing is necessary for the performance of a task carried out in the public interest or for the purpose of a legitimate interest (Art 6(1)(e) GDPR or Art 6(1)(f) GDPR). Furthermore, consent will always be obtained from the person photographer or videoed. I will retain information for as long as I am a sitting MSP. Please refer to Sharing of personal data below.